Challenge 22: ​Connect with an educator on Edmodo. A great, but often overlooked, platform for connecting with other educators is Edmodo. Edmodo - edmodo.com - is a FREE 'Social Networking' environment for students, parents and teachers. It provides a safe and easy way for your class to connect and collaborate, share content, and access homework, grades and school notices. In fact, many schools are ditching their VLEs in preference to Edmodo. Teachers and students can post messages, discuss topics, assign and grade work. Edmodo also allows you to share digital content such as links, pictures, videos, documents etc. Edmodo is very similar, in layout and functionality, to Facebook. This makes it immediately appealing to students. 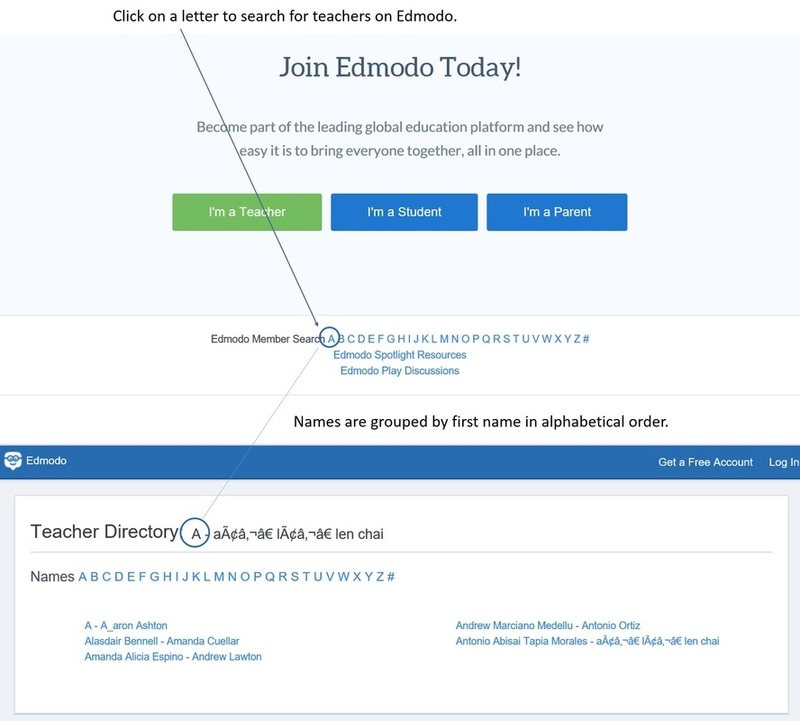 Edmodo provides a safe and easy way to connect with educators without leaving your classroom and, thanks to Edmodo’s new teacher directory, finding specific teachers on Edmodo is now easier than ever! Visit www.edmodo.com while logged out of your account. Scroll to the bottom of the page and locate the 'Member Directory'. Alternatively, you can also find other teachers by joining a community (See challenge 2). Once you find a teacher you would like to connect with, you can request to connect with them by simply clicking the 'Add Connection' button located on their profile. Click on a teacher’s name or Profile Picture to view their profile. Click the 'Add Connection' button located at the top-right of the teacher's profile page. A connection request will be sent to that teacher. Once the teacher accepts your request, you will be able to direct message them and add them to any groups you have created (See challenge 3). https://support.edmodo.com/hc/en-us/articles/205009254-Connect-with-Teachers-Teacher-n - Help from Edmodo on how to connecting with other teachers.